Two hackers on Wednesday hacked at least 70,000 Google's Chromecast devices and flashed a message to subscribe to PewDiePie. 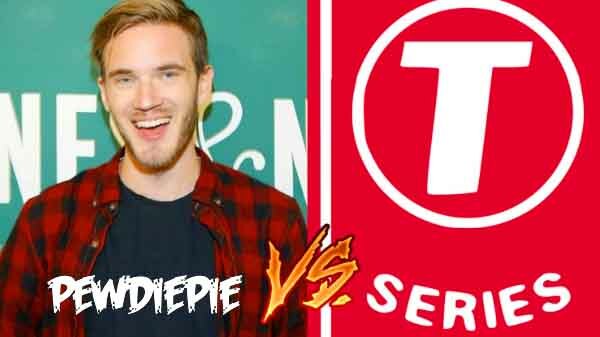 Social media is flooded with the news of war between YouTuber PewDiePie and Indian music channel T-series. It has been reported that T-series is about to cross the highest subscriber on YouTube soon. Currently, PewDiePie has 79 million and T-series have 78 million. A new report has come up on Wednesday, claiming that two hackers went out of the love for their favourite Youtuber PewDiePie and hacked at least 70,000 Google's Chromecast devices and flashed a message to subscribe to PewDiePie. "CastHack, Hacking Chromecasts/Google Homes/SmartTVs, Progress: 123141/123141 [100.00000%], Running for 1 hour, 4 minutes, 23 seconds, SUBSCRIBE TO PEWDIEPIE," said the message. After hacking the devices, both the hackers when on social media with twitter handles @HackerGiraffe and @j3ws3r and pointed out the vulnerabilities of their devices. "If you came here because you're a victim of #CastHack, then know that your Chromecast/SmartTV/GoogleHome is exposed to the public internet, and is leaking sensitive information related to your device and home," they posted on their handles. The hack was made possible because of the badly configured routers. The hackers found the streaming devices which are exposed to the public internet to rename the device's Wi-Fi name. They have also played PewDiePie's video on the hacked devices. This is not the first time hackers are doing this. Earlier, hackers cracked into the Wall Street Journal website to promote the YouTube channel of PewDiePie, the Swedish video-game streamer and vlogger. A hacker had also cracked into 50,000 printers and printed a message to subscribe to PewDiePie's channel.